It's one thing to be bringing out a new motion controller, but it's quite another to be part of a wave of motion gaming. It might seem that Move and Kinect launching so close to each other would be a cause of concern for Sony, but Shuhei Yoshida, head of Sony Worldwide Studios, said that it actually helped Move by generating more coverage around motion controls in general. Yoshida said that Sony considered itself fortunate that Microsoft made such a big deal about Kinect, as it didn't think that Move would have gotten as much coverage without being part of the broader category of motion gaming. He also thought that being able to compare Move to Kinect and the Wii made it easier to highlight what was really unique about Move. 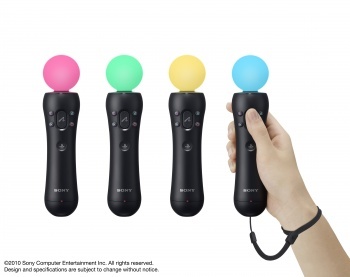 Sony has made good use of the comparison, including Kevin Butler's on-stage appearance at E3 were he joked about having to use fingers as guns on Kinect, and the websites "Move vs. Stuff" and "Yay Buttons," which take playful jabs at the competition, while simultaneously showing off the advantages and capabilities of Move. Move launched last week to quite favorable reviews, and Kinect launches on November 4th.